The latest edition of In the field, takes me to South East Ireland to Hook Head County Wexford. Check it out on YouTube on the link below. The latest “In the Field” vlog is available on YouTube. Filmed near the back beach at Falcarragh County Donegal, this episode takes you on a journey from capture to post processing. 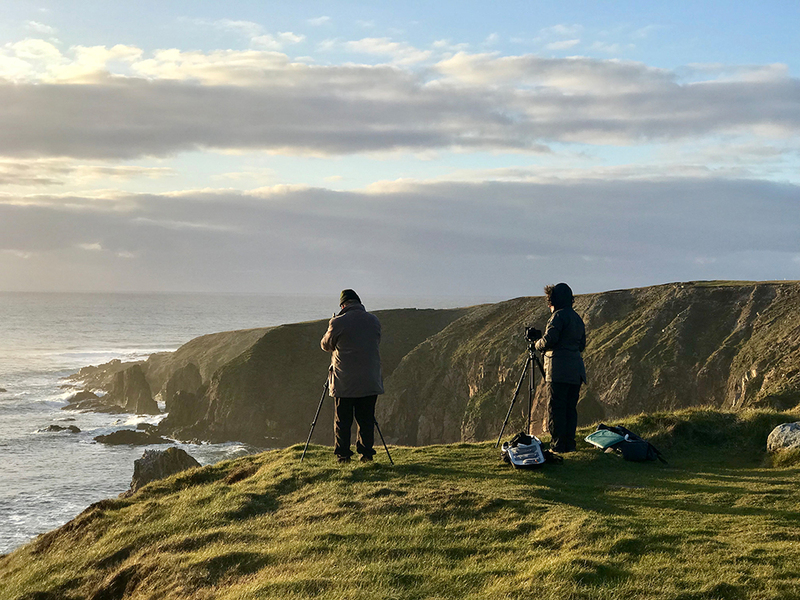 I spent a couple of days in one of the remotest parts of North West Ireland in rural County Donegal, photographing its beautiful coastline. The location, mixed in with some wild weather and towering waves didn’t disappoint. The result can be seen over my latest vlog on youtube. I was lucky enough to recently spend a week in Donegal photographing locations I have been to many times before, but more importantly, to explore new locations that I have long marked for exploration. During that time, I managed to find some time to return to Trá Mór beach near Dunfanaghy to photograph the evening light over Tory Island. The results can be viewed in my latest vlog, which can be viewed below. Back in April I returned to Donegal, where the weather was just a little bit changeable. The results of that trip can be viewed on my latest YouTube vlog. A recent interview I did with Marc over at Loaded landscapes is now live. If you have a moment you can check it out at their website. The latest edition of my In the Field vlog is now viewable. This edition brings me out in and around the backroad and hills overlooking Sheephaven Bay. The latest edition of my "In the Field" vLog is now available on youtube. This entry comes form the wild and rugged landscape of County Mayo, on Irelands West coast. A location I have just returned from after leading another of my highly successful Irish Landscape photography workshops too. The latest "In the Field" Landscape photography vLog is now up and running on my YouTube Channel. In this edition I photograph the Dunes around Murlough beach, at the foot of the Mourne Mountains. In In The Field, Irish Landscape photos, Photography vLog, Youtube Tags "Mourne Mountains", "Murlough Beach", "Landscape photography vlog"